Pyramid Valley Vinyards - New Zealand Beef & Wine, Restaurant "Grill Teru." 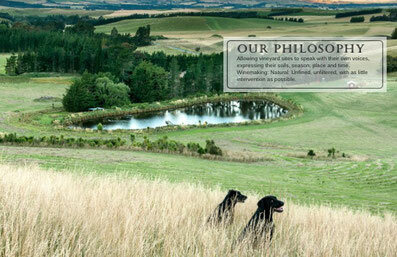 Mike and Claudia Elze Weersing came to New Zealand in 1996, when Mike began making wine with Tim and Judy Finn at Neudorf Vineyards in Nelson. 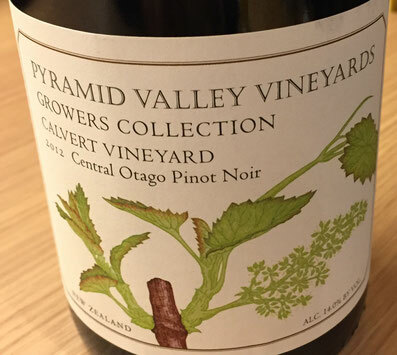 After a long and intensive 15 year search across the world to find a site for their own vineyard, they purchased a farm in the Pyramid Valley, near Waikari in North Canterbury, in 2000. Claudia was born in Schleswig, Germany, and moved as a child to the U.S. She has studied fashion design, and was a skilled designer in the early 1990’s while also managing a gourmet deli in Wooodside California where she met Mike. She now brings her precise eye, two green thumbs, and a dazzling smile to the management of our home vineyards. She is happiest, and most often to be found, among her vines. Claudia is a committed biodynamicist; hers is a guiding and beautiful spirit on our land. Claudia has been managing the domestic sales and marketing since 2008, while also managing quality control during vintage, supporting the wine making team and delivering only the best fruit from the vintage through hand destemming and managing the sorting team. Claudia also supports our global markets as these areas grow from year to year and is a director of Pyramid Valley Vineyards. Claudias skills spread across the entire business model for Pyramid Valley. Mike studied oenology and viticulture in Burgundy, beginning at the Lycee Viticole in Beaune, and continuing at the Universite de Bourgogne in Dijon. He has worked extensively in the vineyards and cellars of Europe, for producers such as Hubert de Montille, Domaine de la Pousse d’Or, and Nicolas Potel in Burgundy; Jean-Michel Deiss and Marc Kreydenweiss in Alsace; and Ernst Loosen in the Mosel. He has made wine in France and in Spain for Randall Graham of Bonny DoonVineyards, vinifying in the Rhone Valley, the Languedoc-Roussillon, and the Navarra. New world vintages include apprenticeships with James Halliday at Coldstream Hills in the Yarra Valley of Australia, and with Russ Raney at Evesham Wood in Oregon’s Eola Hills.